Put down the books and grab a drink! 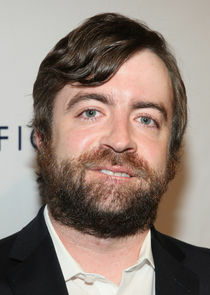 "Drunk History" is moving to COMEDY CENTRAL. "Drunk History," a weekly, half-hour series where historical reenactments by A-list talent are presented by inebriated storytellers, has been ordered to series, it was announced today by Kent Alterman, Head of Original Programming and Production, COMEDY CENTRAL. Produced by Gary Sanchez Productions and executive produced by creator and star Derek Waters, Writer and Director Jeremy Konner, along with Gary Sanchez Productions' Will Ferrell, Adam McKay, Chris Henchy, and Owen Burke, The series is set to premiere eight episodes this summer.